The awkward moment when you read this. Hello group members! Thank you for joining DaTweekaz Giveaway! Scams are destroying Habbo, it needs to be destroyed too. We are just being honest, raising voice against corruption. STAY WOKE. 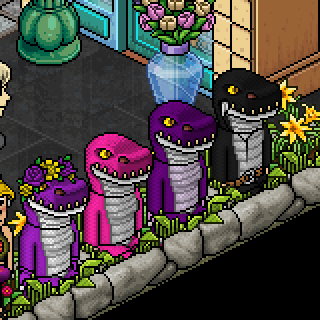 400C - Skip the Queues with the Ultimate Fast P.bobba --- If you had FAST PASS please speak to james80642 on Habbo. Fast Pass holders get to use the fast line. Douglas Banzai SFP Pass, pass holders can enter SFP lane. Fast Pass allows you to skip to the start line. Cost: 10c. No Refunds/ Don't leave this group. Super Fast Pass allows you to skip to the checkpoint before Level 7. Cost: 50c. No Refunds/ Don't leave this group. Join the top rare Friends up top request admition from me and your in! Fast Pass: 15c valid for 1 day| and 25c Permanent| STRICTLY NO UPGRADING TO PERMANENT>>> Trade only to: ella1497, beautyvanessa., and kingjcpogi. Quality, Excellence And Passion. These are the members of [DCI] Founded By iamfj In 2016! "Every attempt to make war ethical and honorable will result in humiliation and disaster." THE BEST PLACE TO PLAY FALLING FURNI! One with the moon and nature. Everything from Apothecary to casting spells, "An ye harm none, do what thou will". KM coming to Habbo! Come hang out and earn credits, GIvaways and partake in great events! A place where I can relax. Taken in this room on 15 April 2019 and received 1 likes. Taken in this room on 2 January 2019 and received 0 likes. Taken in this room on 14 September 2018 and received 2 likes. Taken in this room on 22 August 2018 and received 2 likes. Taken in this room on 21 June 2018 and received 0 likes. Taken in this room on 16 June 2018 and received 1 likes. Taken in this room on 1 June 2018 and received 2 likes.